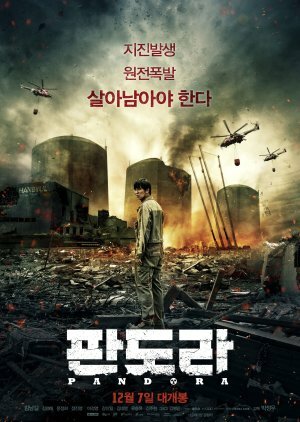 A disaster-themed movie has quite often produced in Korean Industry these days. But what makes this movie really interesting was, it's purpose to criticize the Korean Government (President Park Scandal, Sewol Tragedy) as well as the concern of many regarding a nuclear power plant in southern areas which is peril of earthquake. The movies showed a lil bit of government's incapacity to react on national crisis due to politics and nation's image issues. And this fatal mistakes led to a bigger crisis and loss from their citizen. The pace was fast. We got straight to the main crisis on the first few minutes, but the writer still capable to maintain the depth of each character. There wasn't any flashback scene (almost), unlike the usual Korean Movie's with fast pace plot, but we still able to understand each character's idealism and initial heart. "Don't close your eyes because of fear. Don't cover your ears because of fears. We have opened the Pandora's Box. Although disaster were inside. Wasn't there also hope?" I’ll start by saying this..., Pandora is a movie that definitely surprised me! To be honest I was “in” purely for the cast because the synopsis did not sell itself to me, I've seen similar themed movies so it didn't feel original and I still say it's not "original" per-se. However it's the emotional ride that counts here! As I've already have mentioned it probably won't be new to some of you as similar themes have been done before maybe not a Korean movie but it's still not “brand new”. However the way it was delivered, the emotional journey you go through while watching it makes it one of the most quality story lines for such types of movies I've seen thus far. I did not expect to get all emotional while watching this, I can assure of that, but things just don't always turn out they way you expect them to do. Pandora story is told in a way that would get you attached to the characters very fast!! This is just beyond wonderful because normally it takes a whole drama with 16 ep+ for me to get attached to the characters (that is if I get attached at all). Somehow in Pandora, you can relate to the characters and feel them, which is what makes it a very emotional ride without being a tearjerker or tire you down with emotional scenes on purpose. In fact, this is what I loved about the plot, it not trying to be over the top or play the emotion game. The writer has managed to keep things in tact without draining you with all the tragic events. Pandora story pretty much mastered the love, friendship, loyalty, sacrifice, neighbors, heroic acts, dirty politicians... all in one plot which is over 2 hours without tiring me. Kim Nam Gil: He is the main reason why I decided to go all the way to the cinema in the cold harsh winter and watch this movie, which didn't appeal to me at first. If you are reading this review and have never seen anything for this man I earnestly ask you to pls hunt his profile down and WATCH HIM! Simply because there are no words that could be said, enough to compliment this amazing actor. He has yet again embraced me with his impressive beyond words performance but this time with a Jeolla Satturi accent! This is my first time watching him preform this accent and he's one of the best K-actors who perfectly mastered it to the point that I had to remind myself that it is truly KNG! His performance didn't just move me, it moved the whole audience in the theater, and the whole hall was crying in tears and crying in heart. Amazing heartfelt sincerity that broke my heart into pieces. Jeong Jin Yeong: This man owned the first half of the movie! I've had the pleasure of seeing this actor before but I was even more delighted to see him here because what he showed me here is on a whole different level. He is my favorite character from start to end, loved Pyeong Seob with all my heart! Such a courageous, righteous, wonderful character played by this wonderful mister. Han Joo Hyun: What a wonderful surprise! I've seen this girl twice but never like in Pandora. This movie has to be her breakthrough! When I was watching her I couldn't resist falling for her, her character is my 2nd favorite but how Joo Hyun played it is just too precious. The whole time I was so impressed I couldn't avoid my girl-crush. She stood her ground as a new talent among these giant actors! Bravo! As for the rest of the cast I honestly loved them all, Kim Myung Min, Lee Kyeong Yeong, Kim Young-Ae what a stellar cast! I don't really re-watch things (except for few exceptions), and in my opinion even for those who do re-watch I don't think it's the type of movie that you'd want re-watch. 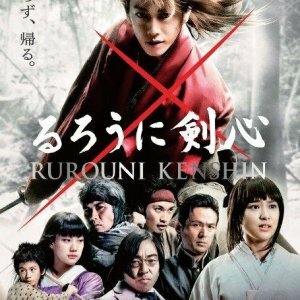 **Although I would love to say this is a movie for everyone, but it would be wiser to say that it's a movie for those who don't mind bloody scenes. The story isn't aggressive but "nuclear power plant" is involved so scenes of injuries are bound to happen, just a warning ahead for those who hate the sight of blood.